Digital twins are reshaping manufacturing. Digital twin technology centers on highly detailed models of complex real-world objects recreated in virtual 3D environments. Today, anything from heavy manufacturing equipment to the human heart is fair game for twinning. As rapid prototyping tools, digital twins speed innovation and reduce costs. Manufacturers can test, correct and enhance the minute details of any asset before proceeding to real-world manufacturing. But the real potential for digital twinning goes beyond the concept and pre-manufacturing steps. When incorporated as part of a platform environment, digital twins enable companies to create a consistent and comprehensive experience for all stakeholders, from design and manufacturing through marketing, sales, delivery and servicing. Digital twins provide highly accurate simulations that can be studied, adjusted and reconfigured with ease. They’re built on platforms that are becoming mature enough to differentiate themselves with capabilities that go beyond just hyper-realistic models for design engineers. More advanced platforms create assets that can be used outside the context of any single organization. For example, if a digital twin can be exported from the prototype stage into a form that marketers can use, it can be built into virtual reality (VR) experiences that customers can explore before they commit to purchasing the real thing. Advanced twins can also simulate and recreate wear and tear for post-sale support. A customer with a maintenance concern about an existing machine can provide usage and sensor data to upload to the twin, which can then predict the most likely problems. That cuts down on uncertainty and the time needed to take apart the device in the field while trying to diagnose the issue. Other twins are concerned with extremely large-scale systems-of-systems, like a complete manufacturing campus or even a modern city. Managers use these mega-scale models to simulate the ripple effects of aging infrastructure and the costs and benefits of gradual upgrades compared with wholesale rip-and-replace capital overhauls. Dassault Systèmes’ 3DEXPERIENCE platform emphasizes accurate and detailed simulation of extremely large-scale environments. All of the platform’s elements are accessed through a single cloud-based interface, which links marketing, sales and engineering while offering each department the same 3D designs, operational analysis, social media and collaborative tools. Instead of consigning digital twin insights to operational silos, Dassault Systèmes’ technology allows everyone to share awareness and conclusions from these complex products and systemsthroughout the entire lifecycle. Here’s a quick look at how key industries are exploring the advantages of digital twin technology. Aerospace: Manufacturers are already using digital twins for everything from engine and aircraft design to enhanced passenger cabins. A strong aerospace tradition of data-driven design and the recent surge of interest in Internet of Things sensors to improve operational characteristics and predictive maintenance only make digital twins in this sector more useful and effective. Government: Dassault Systèmes has created a complete digital twin of Singapore. The company created this extremely detailed virtual model of the city from images and data it collected from various sources. That data includes geometric, topological and environmental data, and folds in an array of information from climate to traffic patterns. The Singapore twin allows users to explore the impact of proposed projects on the city and to “develop solutions that optimize logistics, governance and operations related to environmental and disaster management, infrastructure, homeland security or community services,” according to Dassault Systèmes. Mining: Digital twins help miners rate the risks and rewards of extraction methodologies on a site before committing capital and labor. They also help mining companies explore the impact of alternative fuels, trucking schedules and reliance on energy and water. Power generation: Digital twins are already widespread in renewable power, where peak turbine efficiency is key and power output fluctuates based on uncontrollable variables like wind speed. At the power-plant level, where vital equipment failure can take facilities offline for months at a time, digital twins can be used to enhance predictive maintenance schedules. Manufacturing: Apart from the established advantages of prototyping and design, manufacturers can use digital twins to optimize supply chains. For example, a supplier may notice that a manufacturer is using a sub-optimal material for a component and suggest a better alternative. The digital twin can then validate whether that replacement will deliver on expectations. Digital twins can also be used in reverse logistics, including safe disposal of end-of-life products. By simulating how a product can be used and later disassembled, recycled and remanufactured, digital twins can create new, sustainable business relationships. Digital twins enhance live testing and the value of human judgment by making it easier to bring more refined designs to physical prototype and production stages. Designing a virtual work environment using highly detailed digital twins makes it possible to re-engineer workspaces to be safer and more efficient. 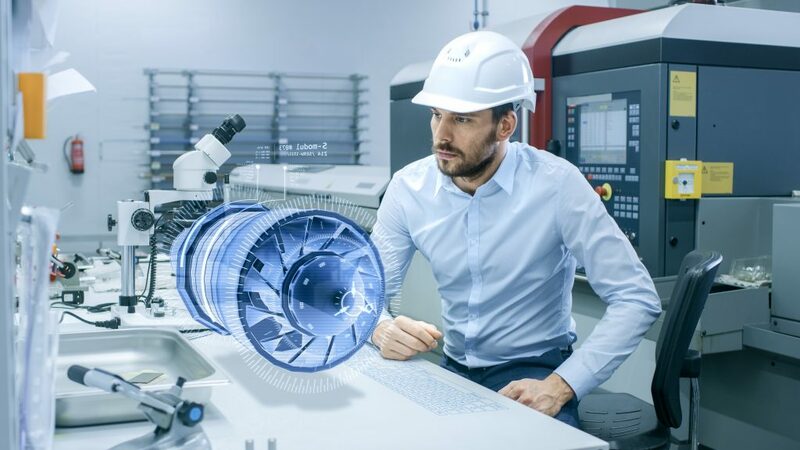 Digital twins can help identify potential glitches in manufacturing and assembly processes, like parts that may be too difficult for workers to reach comfortably and safely, or bottlenecks in workflow. These digital twin environments also let companies test worker suggestions and improvisations, such as modified processes that might cut down on repetitive stress injuries or eliminate unnecessary motions. That keeps workers safer and more productive, incorporates feedback in a proven manner and provides a path for continuous improvement in manufacturing processes. Digital twins aren’t just remaking manufacturing. They’re disrupting the way we invent, build, buy and repair the machines that make the world work. For more information, read the LNS Research e-book: Forging the Digital Twin in Discrete Manufacturing to discover the value and possibilities that digital twin brings to manufacturing. 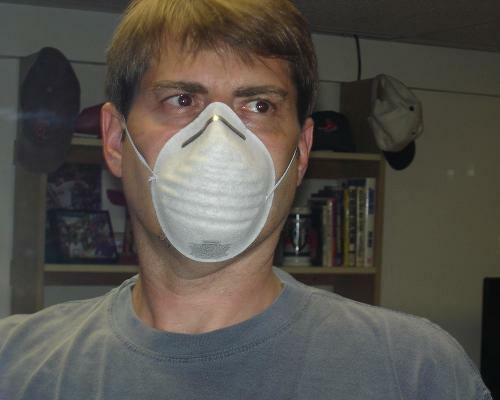 Do I really look scary in a dust mask?